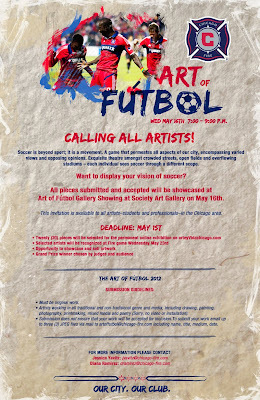 The Chicago Fire Foundation has announced the 2nd annual Art of Futbol show Call for art. The Chicago Fire Foundation is a non-profit organization that helps the Chicago Fire contribute to the community through grants and contributions. This Call for Art couldn’t come at a better time. If you are looking for inspiration it shouldn’t be hard to find with Barcelona playing Chelsea today in the first half of their huge Champions League clash. You can also catch the two greatest teams on the the planet right now play each other this weekend, in the 'El Classico', Real Madrid v Barcelona. So it looks like it is time to get down to the pub for some research because the deadline for artwork is May first. All 2D and 3D art is being considered, unfortunately this year video art will not be considered for display. All submissions need to be sent in no later than May 1st. All accepted work will be displayed at Society Art Gallery on May 16th. 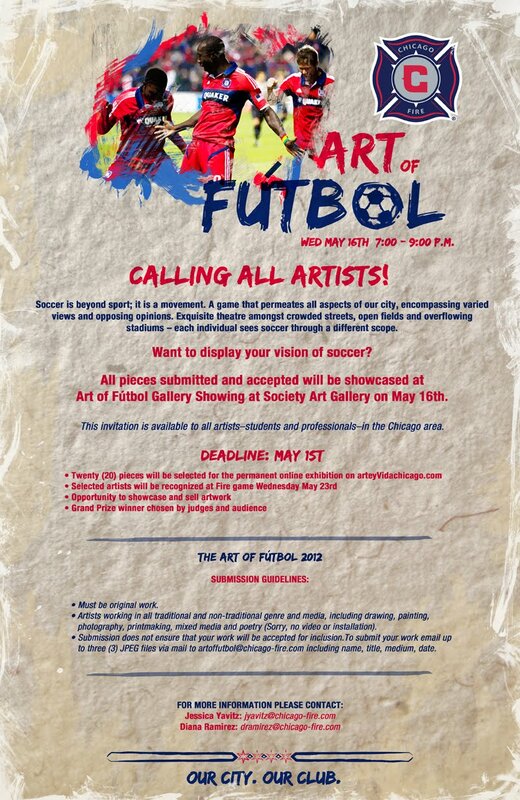 Artists will also be recognized on May 23rd at the Chicago Fire v FC Dallas game, and there will be a prize for the selected artist with the most votes from a panel of judges and audience members. Wow, that's perfect for you! Good luck!